Show of hands…how many of you like Chocolate Chip Cookies? Sixty-three…Sixty-four…ok, lots of you. Now what if that cookie was turned into a cake, soft and chewy, with that enticing brown sugar flavor, and layered with a thick dark chocolate buttercream frosting…drooling yet? I certainly am. 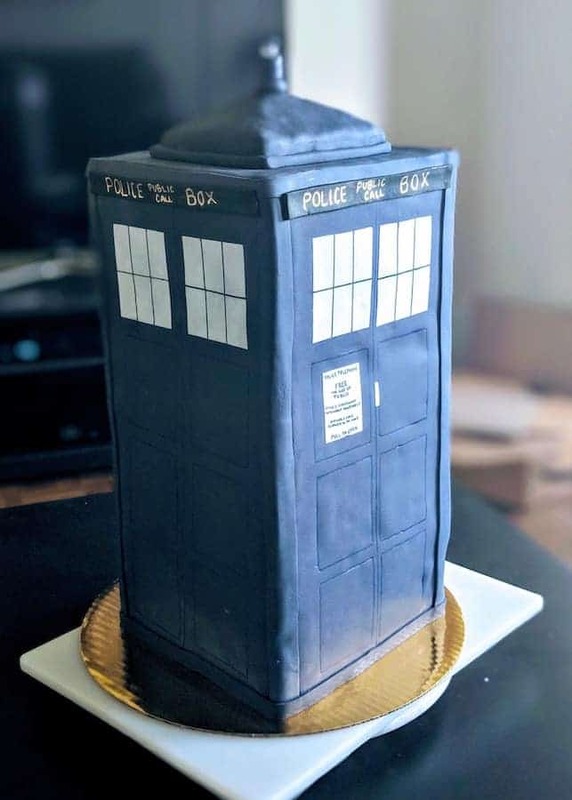 In my last baking post (2 weeks ago) I started telling you about the TARDIS cake my younger daughter and I made as a Groom’s cake at our recent family wedding. That post was about the Chocolate Buttercream Frosting we used for the layers. Now I’m going to tell you all about Chocolate Chip Cookie Cake we used for the upper third of the cake. 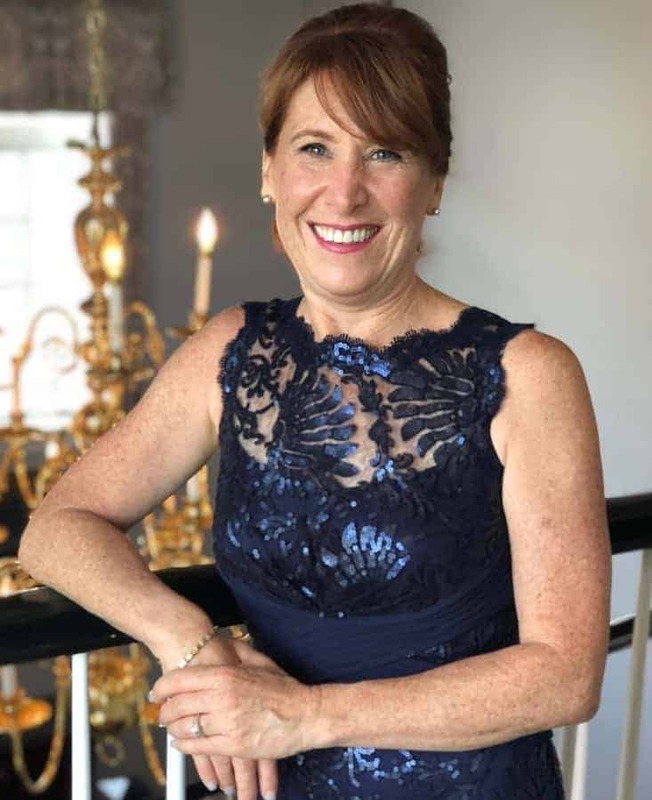 I’ve mentioned Sally’s Baking Addiction many times before (Check(erboard) your cake, Lattice be friends, and Roll ’em!, just to name a few) because it’s such a good resource for inventive and easy recipes. Sally does a wonderful job explaining and demonstrating how to make her products, with lovely pictures and videos. 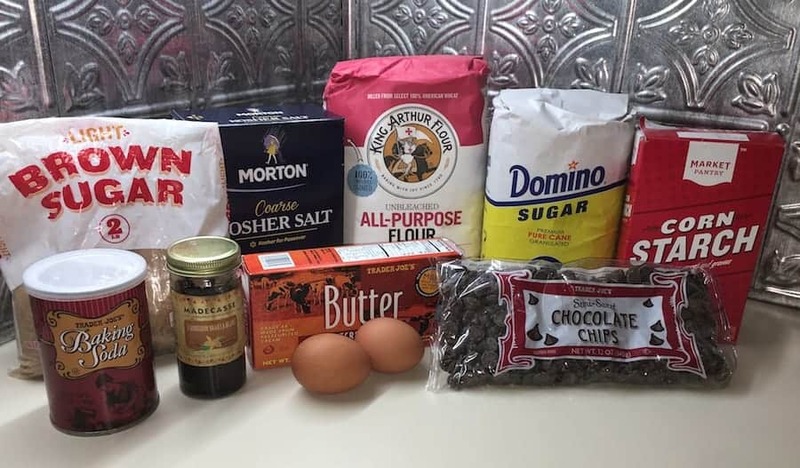 When I saw her recipe for a Chocolate Chip Cookie Cake, I was intrigued. Here’s the rub…our TARDIS cake was to measure 9-inches square and be 18-inches tall. I had been looking for a recipe to use for the TARDIS cake, and I needed something that was sturdy, able to hold its structure for the dimensions I needed, yet be tasty and unexpected (since the TARDIS was a surprise, I wanted the cake inside to surprise as well). This cake fit the bill entirely! The Chocolate Chip Cookie Cake portion of the TARDIS was going to be 12-inches high. Sally’s recipe below made a round cake measuring 6-inches in diameter and 5 layers tall. Adapting her recipe for my purposes, I decided to double her recipe (thinking each layer would be 2-inches high), so I planned to make 3 layers in 9-inch square cake pans. However, when I made the layers, each measured only 1-inch high. I immediately decided to make another double batch of this recipe. Luckily, I had enough ingredients on hand! Preheat oven to 350°F (177°C). Grease 3 6-inch cake pans, line with parchment paper, then grease the parchment paper. Parchment paper helps the cookie cakes seamlessly release from the pans. In a large bowl using a hand mixer or a stand mixer fitted with a paddle attachment, beat the butter, brown sugar, and granulated sugar together on medium-high speed until smooth and creamed, about 2 minutes. Add the eggs and vanilla extract and beat on high speed until combined, about 1 minute. Scrape down the sides and up the bottom of the bowl and beat again as needed to combine. Add the dry ingredients to the wet ingredients and mix on low until combined. With the mixer running on low speed, beat in the chocolate chips. 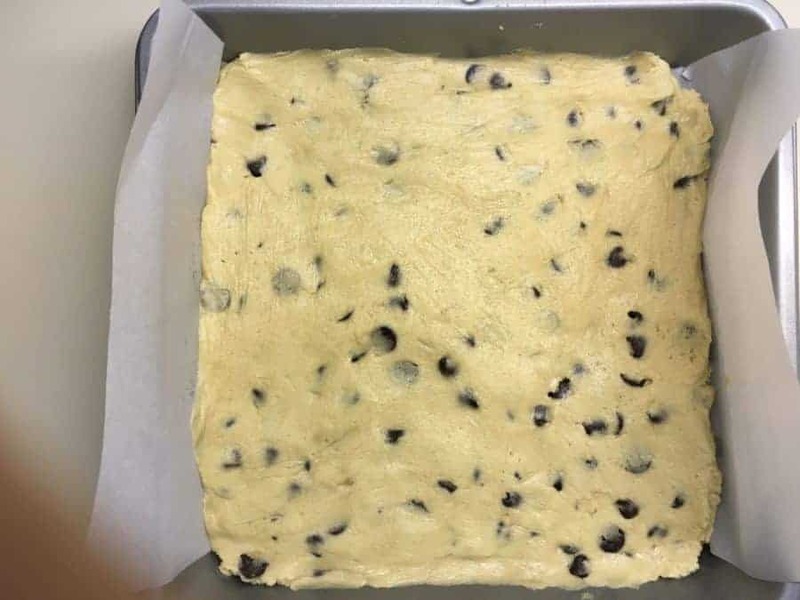 Dough will be thick and sticky. 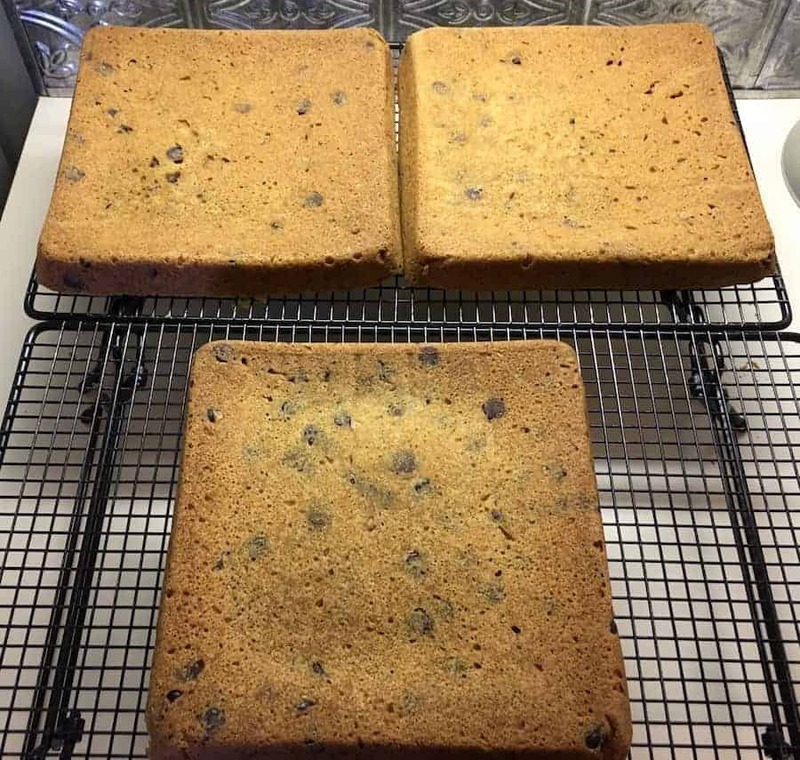 Divide cookie dough between however many cake pans you're using. Press evenly into each. If baking in batches, cover any cookie dough that isn't being used and set aside at room temperature. Bake for 20-22 minutes or until the cake layers are lightly brown on top and a toothpick inserted in the center comes out mostly clean. Allow cakes to cool for 10 minutes in the pans. Run a sharp knife around the edges, then carefully invert the pan so the warm cookie cake slides out. (At this point you can clean out pans, grease, line with parchment, grease parchment, then bake remaining cakes if needed.) Set the baked cakes on a wire rack to cool completely. The cakes must be completely cool before frosting and assembling. This recipe is for a 6-inch round cake with 5 layers. 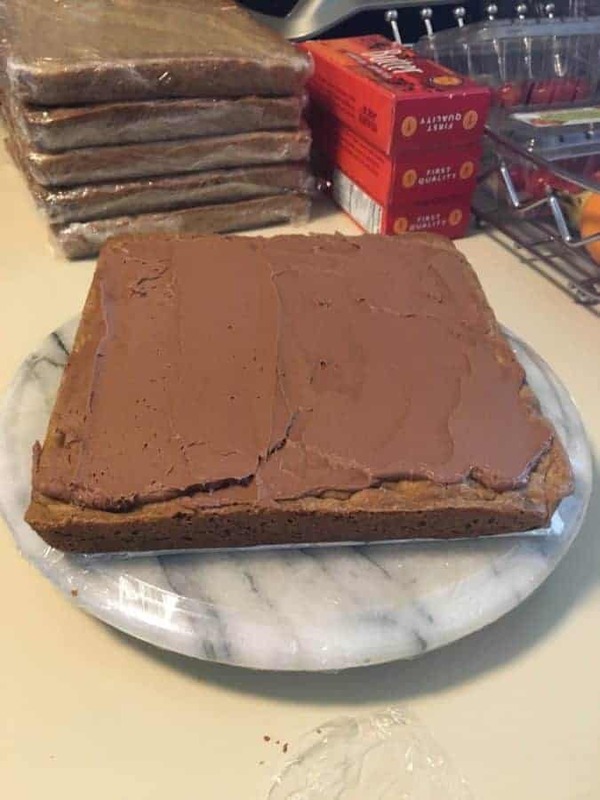 If making a 9-inch square cake with 6 layers (say you're making a TARDIS cake, for example), quadruple the ingredient amounts and have at it! Make ahead tip: The cake layers can be baked, cooled, and covered tightly at room temperature overnight. Unfrosted cake layers can be frozen up to 2-3 months. Thaw overnight in the refrigerator and bring to room temperature before decorating/serving. 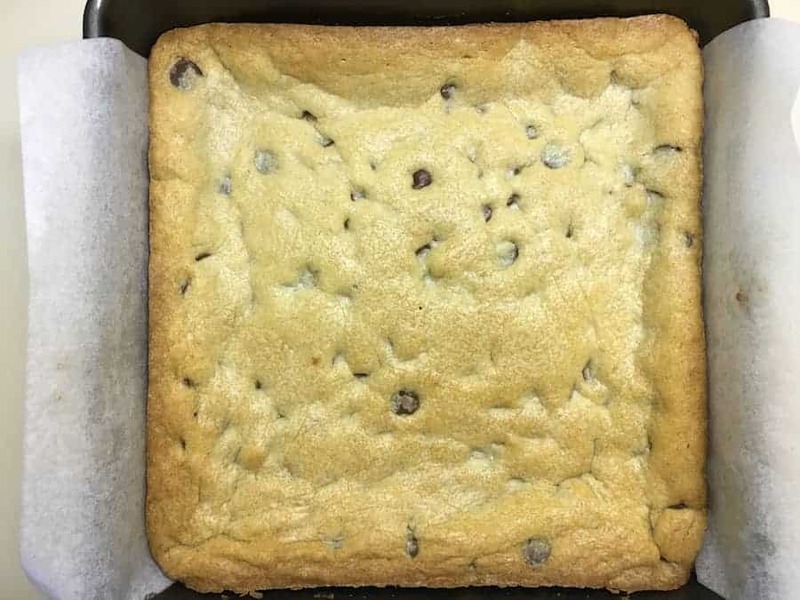 Alternate sizes: No matter which size Chocolate Chip Cookie Cake you make, use the bake time listed as a loose guideline. When the cake layers are lightly brown on top and a toothpick inserted in the center comes out mostly clean, they're done. This Chocolate Chip Cookie Cake was perfect for the large size of our TARDIS cake, and the layers stayed soft and delicious when they were served several days after I had baked them. Frosting them with the Chocolate Buttercream Frosting was, as they say, just icing on the cake. Thick, chewy, and rich, I was quite happy we served this cake at the wedding. Next time we’ll talk about the Crisped Rice Treats we adapted for the base of the TARDIS cake, and how the final cake was assembled. Until then, have dream sweet Chocolate Chip Cookie Cake dreams…I know I will!